Creating a world globe is not just a fun craft activity, it’s a great way to learn about the shapes and locations of the earth’s continents. The globe is made of modeling clay, and you don't have to worry about molding a perfectly symmetrical sphere. 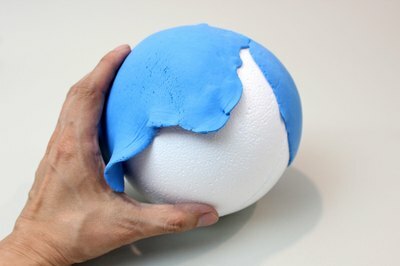 Using a foam ball underneath the clay makes it easy to get that round shape. 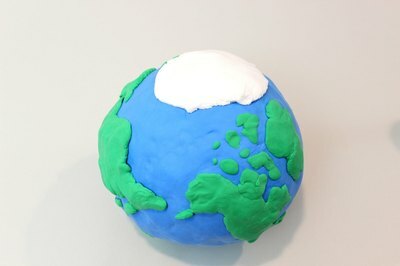 To make the globe, you’ll need a foam sphere about six inches in diameter, along with some blue, green and white modeling clay. Please see the last slide for an itemized list of tools and materials. 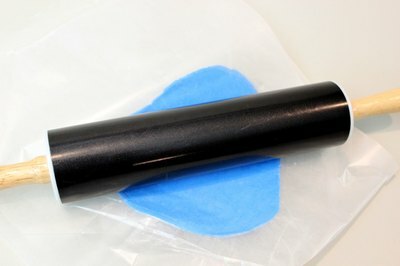 Place a piece of blue modeling clay between two sheets of wax paper and flatten with a rolling pin. Try to roll the clay as thin as you can. Repeat several times so you have three or four thin sections of blue clay. Press the blue clay sections onto the foam sphere. Place the blue sections next to each other, spreading the clay at the edges to fill in gaps. Where sections overlap, flatten the clay with your fingers so this "ocean" layer is even. 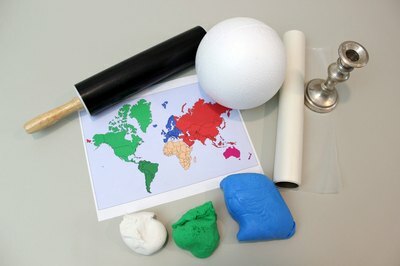 Print out a world map so that the height of it is the diameter of your sphere, and place it under a piece of wax paper. This will serve as your template to shape the continents. 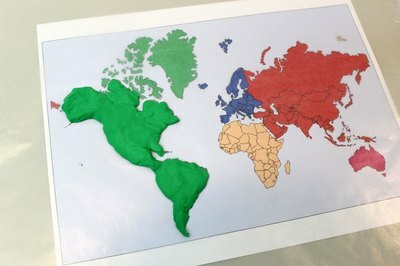 Using the green modeling clay, mold each continent on top of the image. For now, just create the larger land masses and leave the smaller islands and more intricate shapes for later. Peel the green continents from the wax paper and position them onto the globe. Press gently to make sure they stick solidly to the blue clay. Next, add smaller pieces of green clay to create islands and complicated shapes. Europe and Asia can be tricky, so use the map as a guide. To create the polar caps, roll out some white clay into a circular shape with rough edges and position at the top and bottom of the globe. When the globe is finished, use a candle holder as a stand. 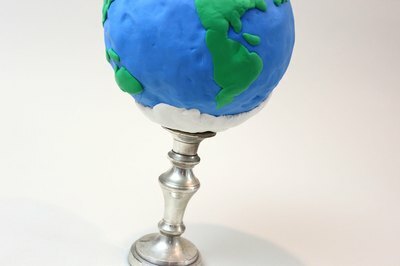 Place the globe on top of the candleholder and press gently so the clay molds to the lip of the candle holder. Let the globe dry for at least 24 hours. Work with clean hands so you don't get smudges on the clay. Add a hook and string to the top of the globe to hang it from the ceiling. How Can I Create the Moon Out of a Styrofoam Ball?